Loaded with creative concepts, innovative ideas and compelling content, the new SDEA Retail Display Directory 2016/17 showcases over 100 manufacturers and suppliers of retail display. This essential buyers’ guide is available free of charge to the first 50 readers by calling SDEA on 01883 348911 or emailing directory@sdea.co.uk and quoting this feature. The striking new Directory showcases literally thousands of products and services for retail interiors. 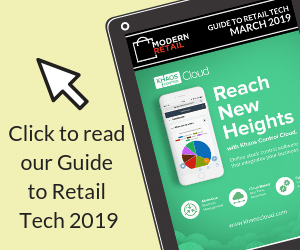 From the smallest hook to an entire store fitout, this comprehensive publication will help you source all your shopfittings, display, PoS, PoP, lighting, signage, visual merchandising and other retail services. Organised into convenient sections, it leads you quickly and easily to specialist suppliers by company, product, trade name, location, service or retail trade. The Retail Display Directory features a selection of ‘truly great’ store design concepts to give readers inspiration. From the state of the art Primark flagship in Madrid to the beautifully crafted, compact Jigsaw in Westfield White City, London, SDEA delves into some dynamic and diverse retail interiors. There has been a great deal of change at the Association recently, where after 40 years at the helm SDEA Director, Lawrence Cutler has stepped down from the role and handed over the reins to a younger man. Antony Behiels has been appointed the new Director of SDEA bringing with him many years experience of the retail display industry. Mr Behiels was previously an SDEA member and was on the Executive Council for seven years, so knows the Association well from a member’s perspective. He has a high level of digital skills and business acumen that will drive the Association to a new level of growth. SDEA is Europe’s leading retail display trade organisation and provides exceptional support for both its members and the retailer, with over 65 years’ experience within the industry. SDEA provides many services to retailers and designers including the SDEA Retail Display Directory, website and InfoLine helpline. SDEA offers suppliers within the industry a comprehensive package of sales leads, discounts, endorsements and assistance.